In the ealier lessons you created automated business cards in “Step’n Repeat” and “Pre-defined grid based” modes. The designs so far have been very straight forward, aligned with the grid setup for the productions. In this lesson, you are going to make your design “free floating”, making you comfortable with creating automated productions with a hand-made touch to the look and feel of the final output. 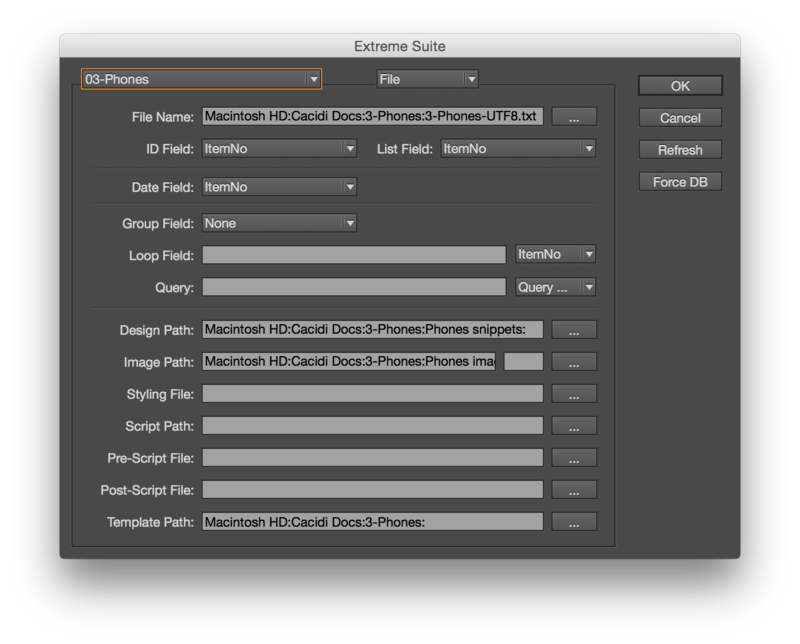 First, select the project named ”03-Phones”, in the Cacidi Extreme Palette’s fly-out menu. Colums = 3, Rows = 3, Gutter Height = 30 and Gutter Width = 30. 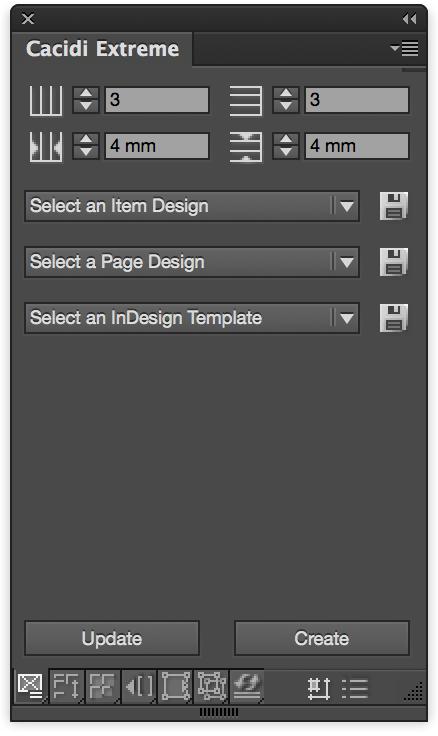 Create a new page design from the ”Select a Page Design” menu in the ”Cacidi Extreme” palette. You should now have 9 green boxes attached to your layout. For the first box in the left column, assign the Item Design ”PhoneLarge”. Shift click the remaining 8 boxes and assign the Item Design ”PhoneSmall” to all of them. To make the design free floating, move around the 9 blue boxes anyway you like. You can even resize the boxes to make them match the size of the item design created for them. When you have freely positioned and re-sized the 9 blue boxes in the page layout, save the page design with the page design ”Save” disk button in the ”Cacidi Extreme” palette. Name the page design ”MyNokiaPageDesign” and save it in the Nokia projects folder. Now, clear everything from the page layout and bring back in the ”MyNokiaPageDesign” from the ”Select a Page Design” menu in the ” Cacidi Extreme” palette. Click the ”Create” button and enjoy! A pre-defined design with the master page background design mixed with dynamic data flowing into the freely positioned page design boxes is now producing. Extra exercise: Clear everything from the layout, reset the “Cacidi Extreme” palette and first select the “PhoneSmall” item design, then the “PhoneLarge” item design. Try to recreate the two Item designs used for this lesson from scratch.